It actually makes so much sense to Salary Package at a car dealership it is quite surprising that it has taken this long for it to happen. The car always comes from the dealership, the servicing is at the dealership and the specialist knowledge is at the dealership, so why not the ability to package it all for the customer. Well, it does take special training and it does require very complex systems and of course then there is the management of the lease after purchase. What has changed to make it all possible is the partnership of salary packager National Fleet Finance with more and more car dealerships and the creation of special purpose tools for the dealership to use. Essentially, this new development has lowered the price of salary packaging. There is now fewer businesses involved in the process and less cost to the customer. The car dealership passes on the salary packaging discount from the manufacturer and they do not have to pay referrals on vehicle purchase, parts and servicing to salary packaging companies. On top of that, these dealerships can give you a quote on the spot (instead of you waiting 2-4 days to get a quote) so it is a time saving for you. National Fleet Finance together with the National Motor Club offer a FREE vehicle buying advisory service. 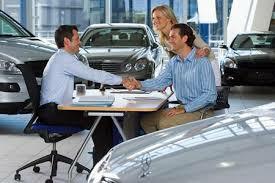 We have special relationships with over 600 vehicle dealerships through our Platinum Advantage Program. Find your closest Platinum Advantage Dealership and book your VIP appointment.